With the winter season in full swing, Helly Hansen—the official baselayer provider of the U.S. Ski & Snowboard Association (USSA)—has released a limited edition collection of performance baselayers inspired by the U.S. Alpine Ski Team. The U.S. Ski squad will wear a variety of Lifa technologies, from HH One to HH Warm, at more than 75 races in 12 countries this winter season, including Beaver Creek&apos;s Birds of Prey and the 2014 Winter Olympics in Sochi. Helly Hansen&apos;s HH One LS baselayer is designed for all levels of athletes from professional racers to backcountry adventurers and even resort skiers. 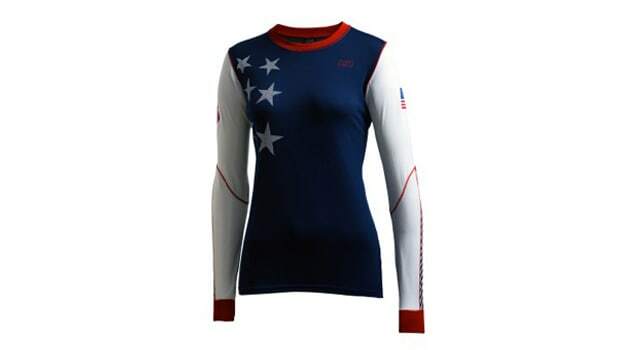 The U.S. Alpine Ski Team baselayer collection is available now through February 2014 at Hellyhansen.com, as well as at all Helly Hansen stores and select specialty retailers in Canada and the United States.